Google developed Go to better handle the issues presented by large-scale programming. Golang has become one of the most trending languages in the developer community. Go provides the best of both worlds by striking a balance between dynamic and statically compiled languages. The code is easy to read, the specifications are short, and it still includes a built-in web server! Throughout this Golang tutorial, not only will we be covering the reasons that make Go such a fantastic open-source language, we will also go over a majority of its concepts. Before you learn any language, you should always know why you're learning the language. Every language serves a special purpose, and the same goes for Golang. So why exactly should someone learn Golang? Well, Golang was built by Google to help solve problems faced by developers at Google, where lots of big programs are built for server software that runs on massive clusters. Before Go, Google was using languages like C++ and Java to solve problems, but these languages didn't really have the fluidity and ease of construction that was needed for problems of such scale. Keeping these things in mind, a few years ago Ken Thompson and Robert Greaser thought about building a new language that would be good for these kinds of problems, and hence Golang was born. Basically, if you're trying to solve a problem of enormous scale or just need efficient and scalable code, Go should be your "Go-to" language! The existing languages have been good enough for large-scale programming until recent years, but there have been big changes in the computing environment in the last decade. These changes have included a lot of networking and a lot of cluster computing — or the cloud, as common folk might know it by. The languages that were being used to implement services until now are at least 10 to 20 years old, so there are a lot of properties of a modern computing environment that these languages don't address directly. Therefore, having a modern language that works really well in the modern computing environment is actually very important. You also want it to be efficient, because you're going to be running it on hundreds or maybe even thousands of machines. You don't want to waste resources, either, by having an inefficient interpreter or some of the problems that generally come up with virtual machine implementations. Golang ticks all these boxes, and hence has garnered much-deserved fame in developer communities. Let's go over the code line by line. The first line is a package declaration. Every Go program must belong to a package, and this particular program belongs to the "main" package. Next, we import the "fmt" or format library which provides the developer with a wide array of functions that allows formatting of output. Then we create the main function, which is the first function that is invoked when a Go program is executed. In the main function, we simply invoke the 'Println' function to print our statement. What exactly is a variable? A variable is nothing but a name given to a storage area that programs can manipulate. Each variable in Go has a specific type, which determines the size and layout of the variable's memory, the range of values that can be stored within that memory, and the set of operations that can be applied to the variable. Next, constants refer to fixed values that the program may not alter during its execution. These fixed values are also called literals. Constants can be of any of the basic data types like an integer constant, a floating constant, a character constant, or a string literal. There are also enumeration constants as well. Constants are treated just like regular variables, except that their values cannot be modified after their definition. 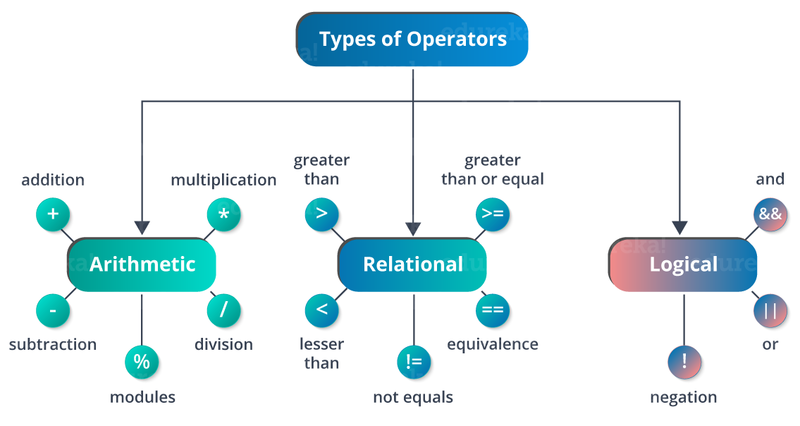 Golang has the three general types of operators that are prevalent in every major programming language. Now it's time to see how pointers work in Go. Pointers in Go are easy and fun to learn. Some Go programming tasks are performed more easily with pointers, and other tasks, such as call by reference, cannot be performed without using pointers. So it becomes necessary to learn pointers to become a perfect Go programmer. As you know, every variable is a memory location and every memory location has its address defined which can be accessed using an ampersand (&), which denotes an address in memory. Printf is used for format printing our outputs in Golang. It is a part of the format (fmt) library. Below is a table listing out the noteworthy uses of Printf function. Ok, it's time we move on to loops. If you're new to programming, a loop is a basic iterating mechanism in computer science and it's used mostly when you need to perform a repetitive pattern in programming. Now in most programming languages, there are three types of loops, namely for, while(exit controlled) and do-while(entry controlled) but Golang has only one type of loop that is the 'for' loop. The syntax of go allows while loops to be implemented with the syntax of a 'for' loop. An array is a data structure in programming that is used to containerize data of the same type. For example, if you were to store all the student name of a certain class, you would use a string array to store them all. The code below shows how arrays are implemented in Golang. Besides arrays, we also have another data structure called "Maps" which maps unique keys to values. A key is an object that you use to retrieve a value at a later date. Given a key and a value, you can store the value in a Map object. After the value is stored, you can retrieve it by using its key. Next up, let's move on to functions. A function is a group of statements that together perform a task. Every Go program has at least one function, which is main(). You can divide your code into separate functions. How you divide your code among different functions is up to you, but logically, the division should be such that each function performs a specific task. A function declaration tells the compiler about a function name, return type, and parameters. Recursion is the process of repeating items in a self-similar way. The same concept applies to programming languages as well. If a program allows calling a function inside the same function, then it is called a 'recursive function' call. GoLang supports recursion i.e, it allows a function to call itself. But while using recursion, programmers need to be careful to define an exit condition from the function, otherwise, it will go on to become an infinite loop. Defer statement defers the execution of a function until the surrounding function returns. They are generally used to execute necessary closing statements — for example, closing a file after you are done with it. Multiple defers are pushed into stack and executes in Last In First Out (LIFO) order. Defer is generally used to clean up resources like a file, database connection, etc. Panic is similar to throwing an exception like other languages. Generally when a panic is called, then the normal execution flow stops immediately, but the deferred functions are executed normally. It is a built-in function in Golang. Recover is another built-in function in Go. It helps to regain the normal flow of execution after a panic. Generally, it used with a defer statement to recover panic in a goroutine. In such a scenario, structures are highly useful. To define a structure, you must use type and struct statements. 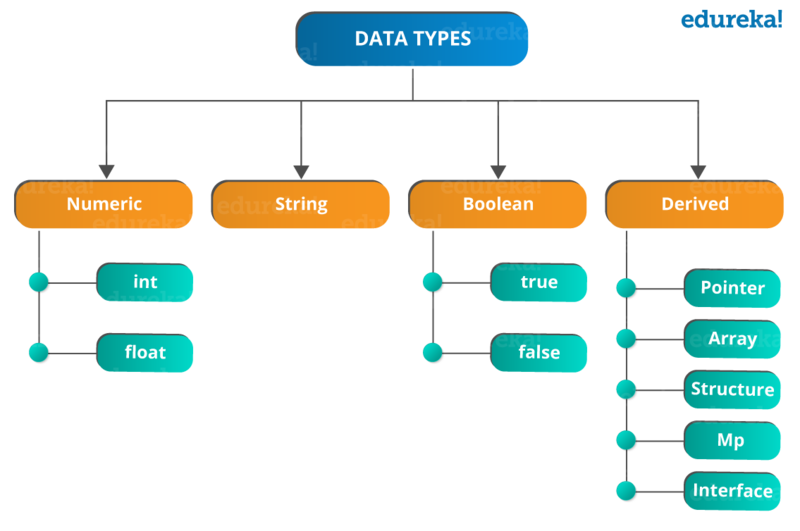 The struct statement defines a new data type, with multiple members for your program. The type statement binds a name with the type which is a struct in our case. Go programming provides another data type called interfaces which represents a set of method signatures. The struct data type implements these interfaces to have method definitions for the method signature of the interfaces. Go also provides us with the ability to set up a simple web server in a matter of seconds. It goes to show how robust and powerful Go libraries are. That's it for this Golang tutorial blog post. I hope you guys enjoyed reading it, and leave confident enough to practice the fundamentals of Golang on your own. Do stay tuned for more Golang-related blogs! Got a question for us? Please mention it in the comments section of "Golang Tutorial" and we will get back to you. Golang vs. Python: Which One to Choose? Published at DZone with permission of Aryya Paul , DZone MVB. See the original article here.